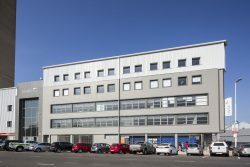 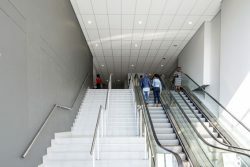 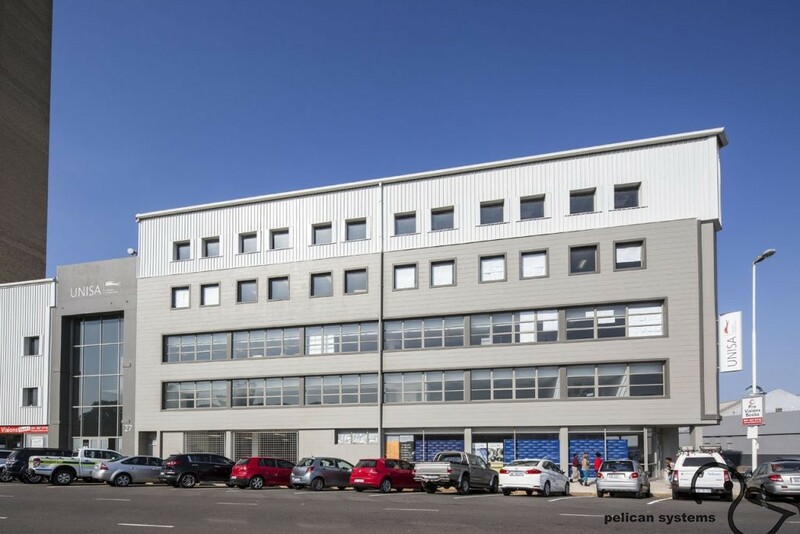 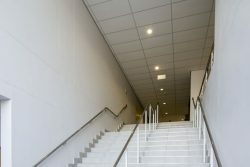 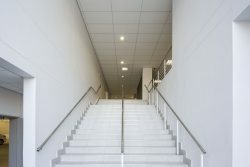 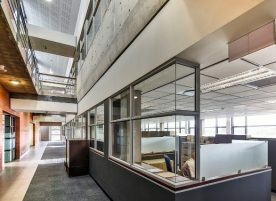 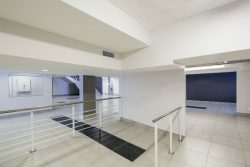 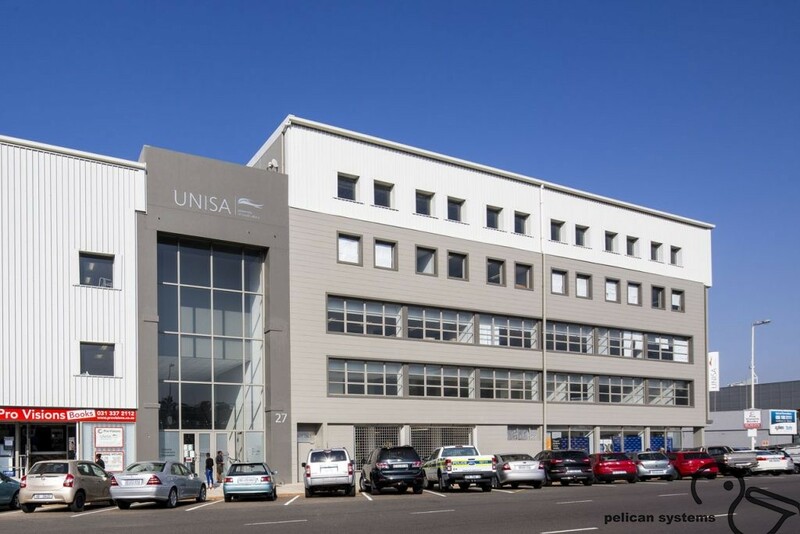 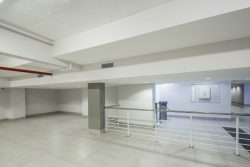 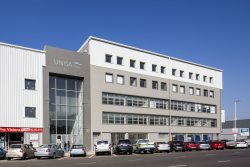 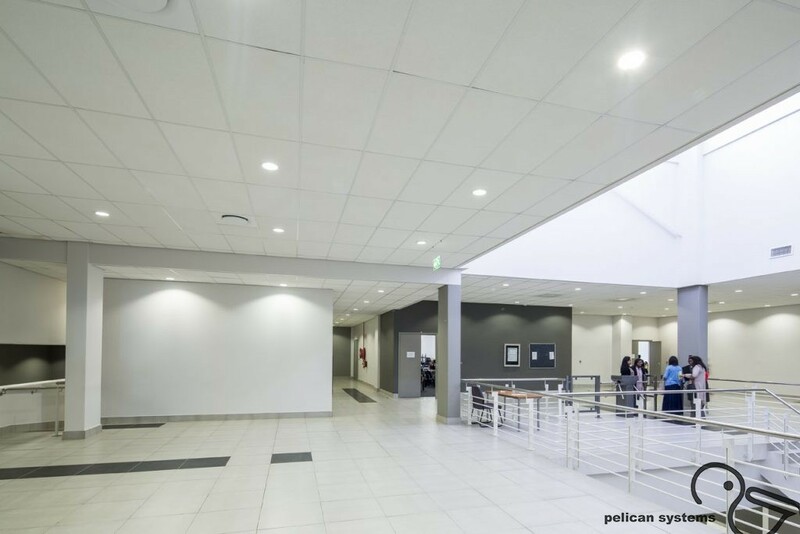 The joining of two old commercial properties at UNISA meant a number of different soffit levels. 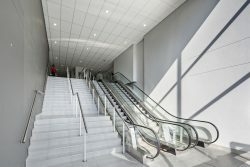 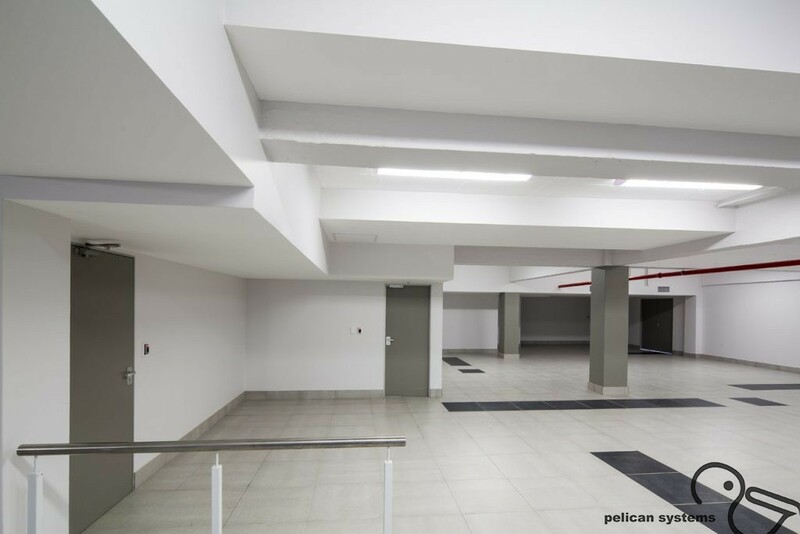 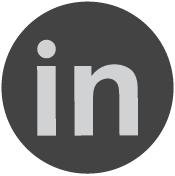 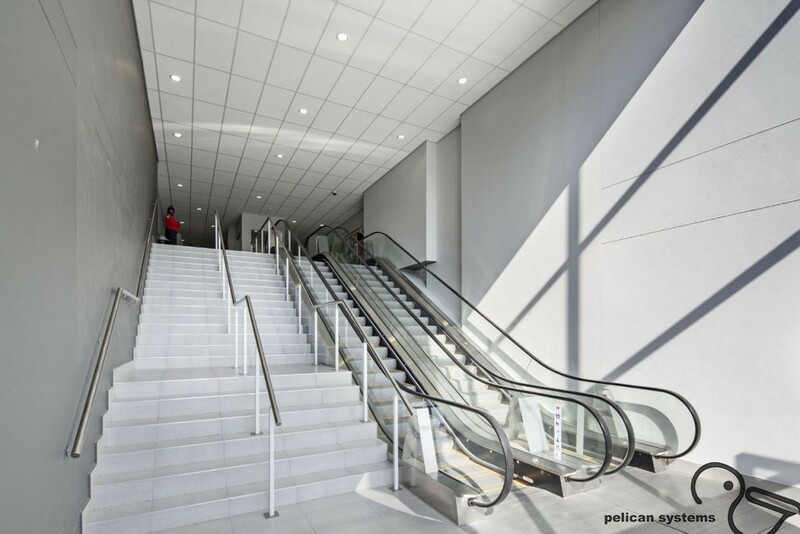 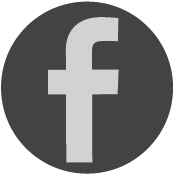 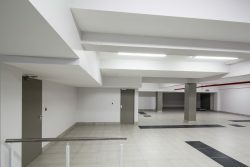 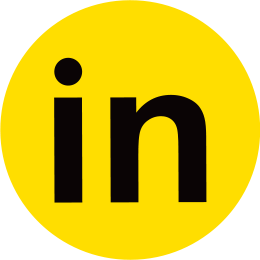 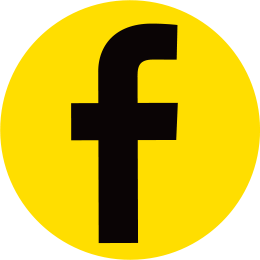 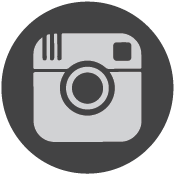 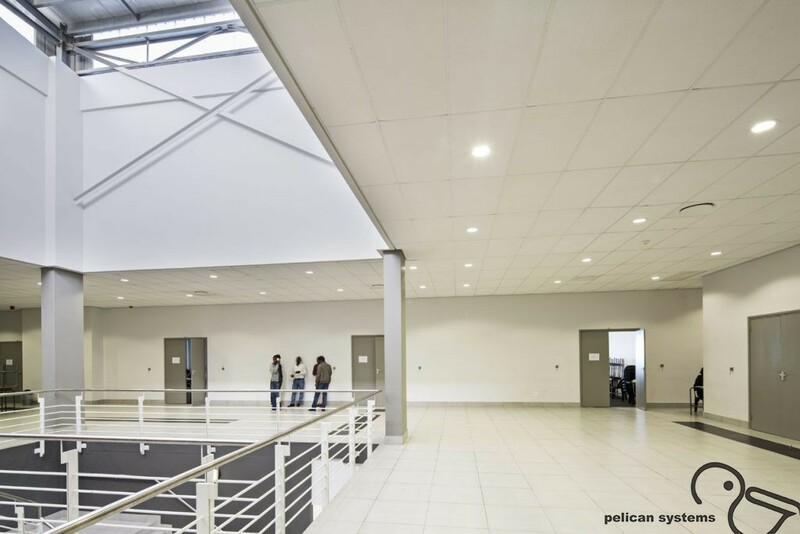 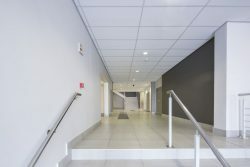 Using a screw up grid system, an interesting staggered and functional ceiling was created that could accommodate the HVAC, water and communication services above. 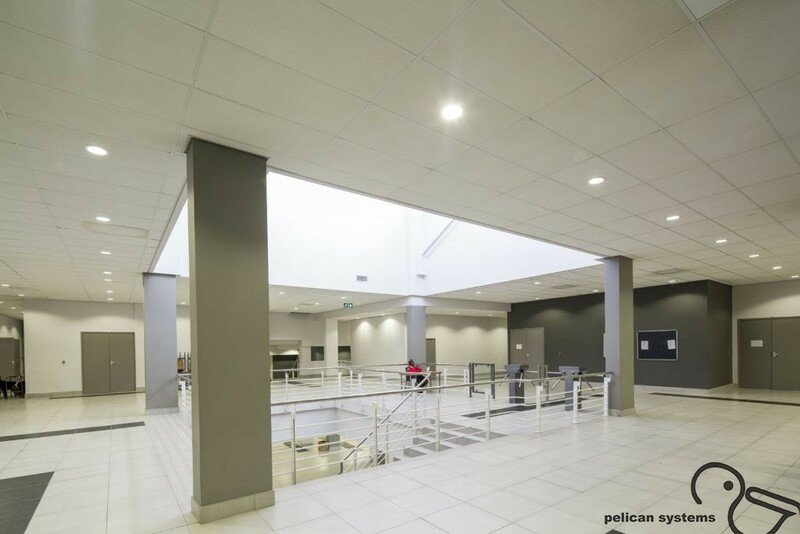 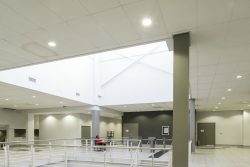 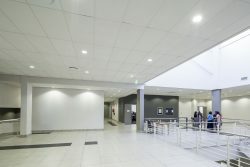 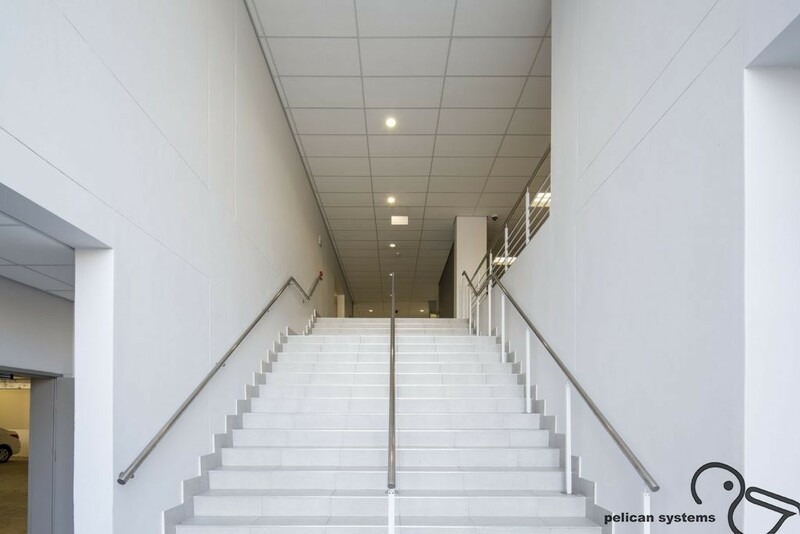 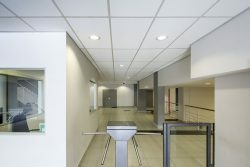 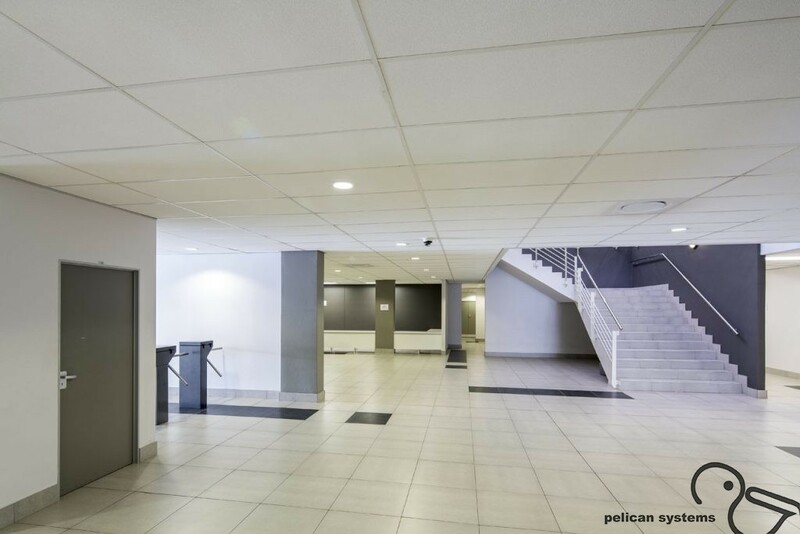 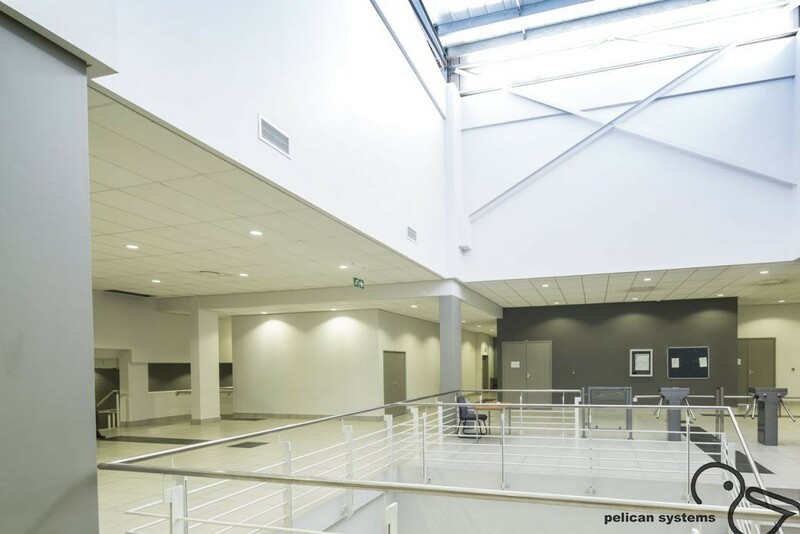 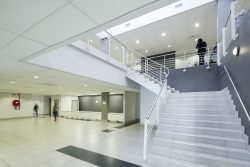 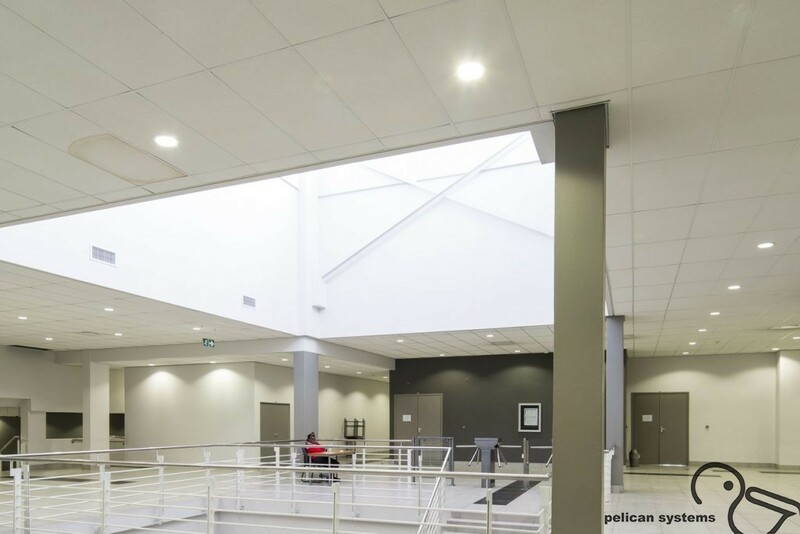 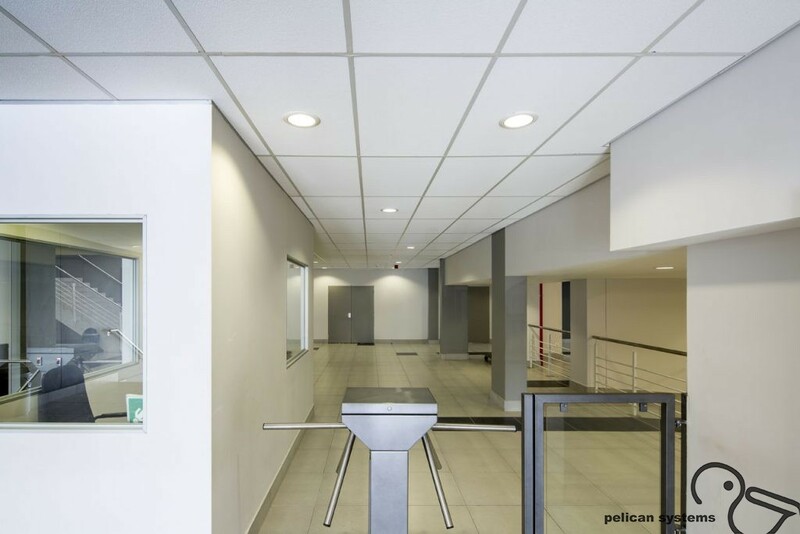 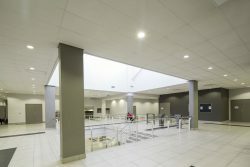 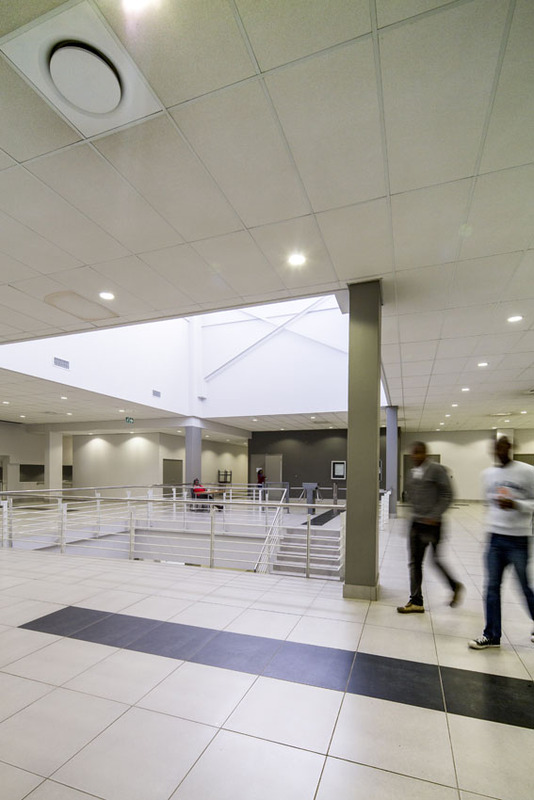 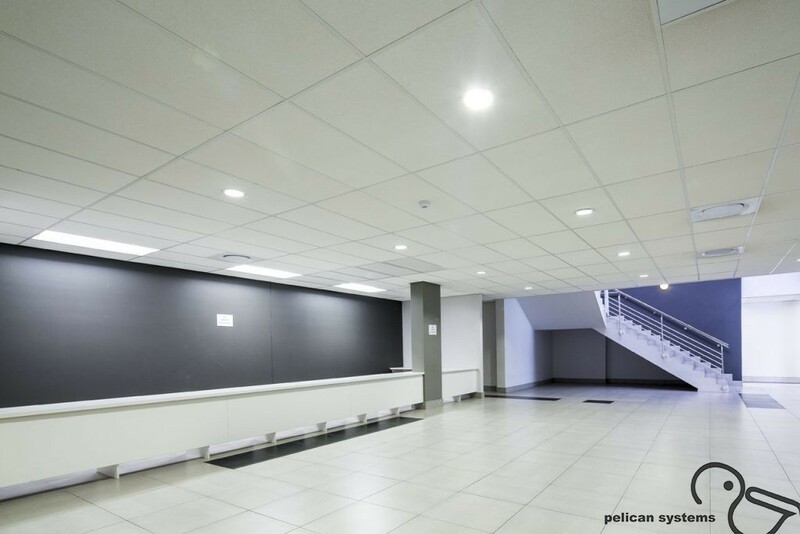 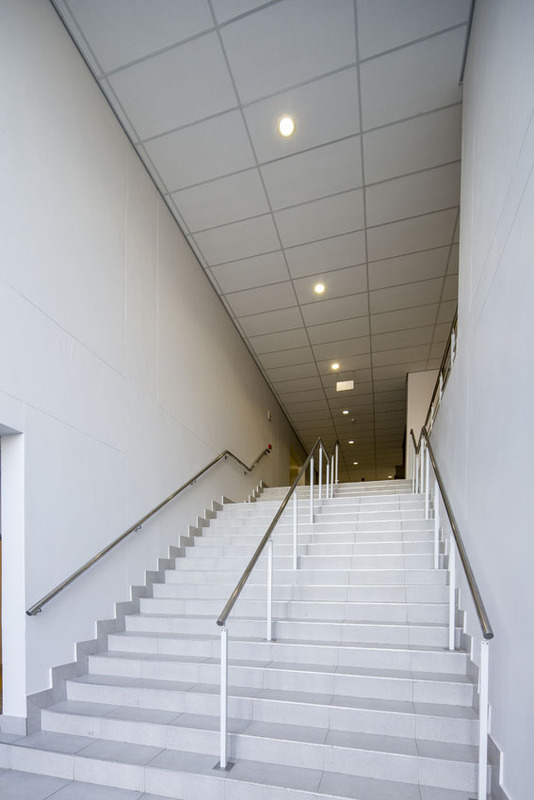 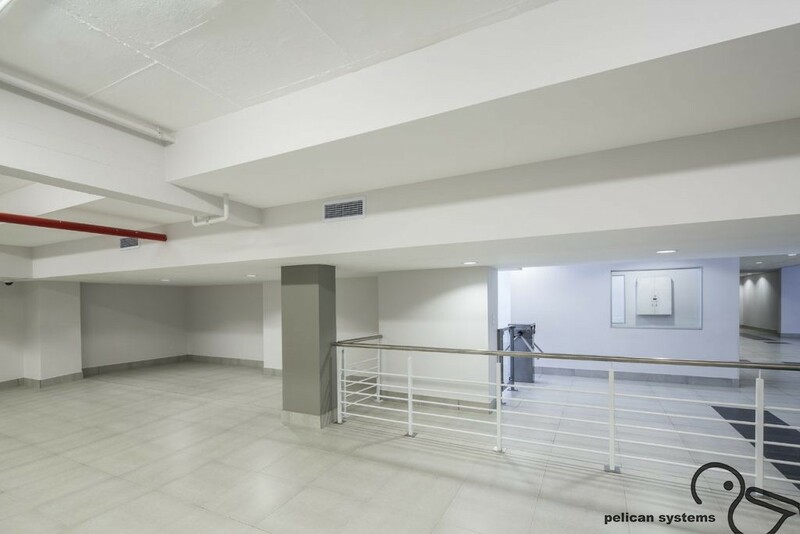 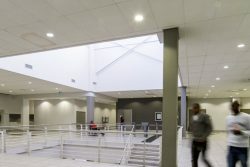 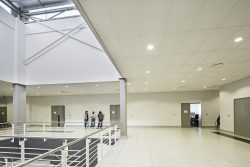 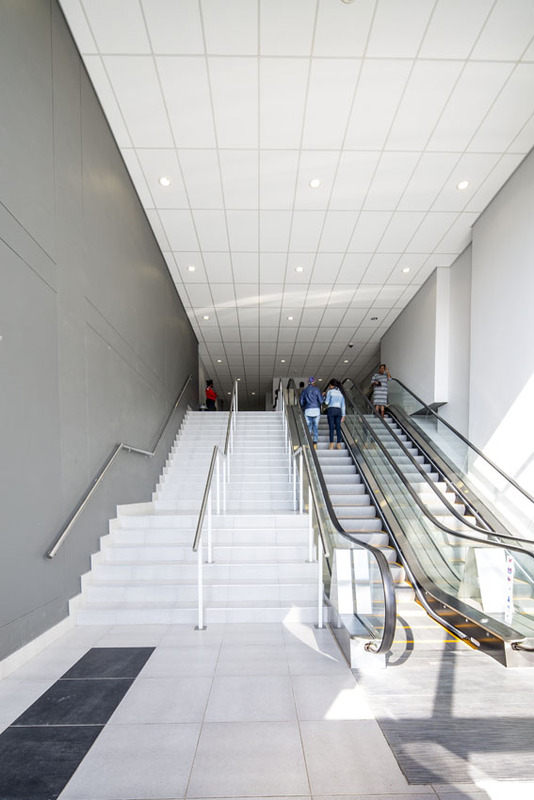 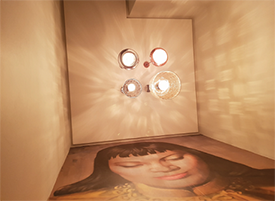 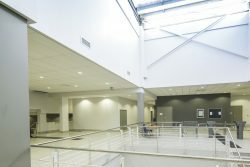 Plain white acoustic tiles installed in the corridors at UNISA create a clean look ceiling while managing noise levels in public areas.